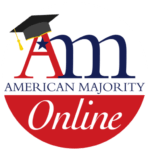 Earn your Campaign Certification from American Majority and start today! Register for all 4 campaign courses together and pay only $59.99! Researching and Planning Your Campaign – Get up and running with little or no experience; although, even experienced candidates can learn some important lessons in this meat and potatoes of the campaign course. Learn where to start; when and how to file; how campaigns are run; what is needed to run a campaign, and how to map out a winning strategy. Get Out the Vote – Winning means turning out your voters, and our trainers are experts in this field. In this course, you will learn the difference between fans and supporters; master phone calls, door knocking, and everything in between; plan your strategy from election backwards, and learn about that crucial last 72 hours in the GOTV organizing efforts. Campaign Finance – This is the course everyone is talking about! Even the smallest campaign would find it nearly impossible to run without money. Our trainers teach you how to raise money effectively, compare different fundraising strategies, learn which events raise the most money, and exactly where to start and how to ask. Communicating Effectively – In this practical, thorough and very necessary-for-campaigners course, our trainers bring you what it takes to master the art of being a great communicator. Understand what it takes to effectively communicate your message to the media, your peers and your constituents. Fine tune your campaign talking points; determine issue strengths, and practice stump speeches.